We all know that there are many uncertainties in life, but one thing is for certain- household chores will be with us till the end. So, if you’re time-crunched and have been longing to ditch the duster and simply spend more time with your family or friends, or spare a little time for yourself, it may be time to consider hiring some help. Here are the three main reasons why it is worth the money. 1. No one can clean absolutely everything. 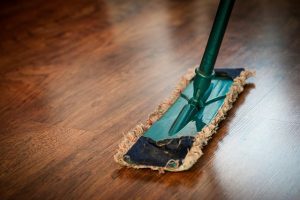 Everyone has some cleaning task in their home that tends to get behind, no matter what they do. In today’s busy world, it’s more than okay to do the cleaning that you’re good at doing or like doing, and leave the stuff you hate in the hands of a professional. How much more would you love life if you never had to spend your whole weekend cleaning your home? 2. Keeping your home clean saves you money in the long term. Your home is probably your single largest investment. Maintaining its surfaces is essential to maintaining its overall value. Tiles, countertops, furniture, floors, walls, baseboards, and built-ins–all of these surfaces need regular cleaning to stay fresh. The longer you allow dirt and oils to build up on these surfaces, the more likely you are to need severe actions, such as sanding and refinishing, to undo the damage. If you don’t provide the needed maintenance, you risk incurring higher costs for repair or replacement later on. Regular cleanings is what prevent wear and tear from progressing much faster than it normally would. There are a number of cleaning services that offer customised cleaning for a minimum time and charge. For less than you spend on coffee each month, you could get that time back. If you usually spend one day a week cleaning, then think about how you could spend that day if it was given back to you. The time that you budget for a cleaning service is time that you give back to yourself and your family. That time isn’t just valuable–it’s priceless. Well, then you might also want to consider investing more time in your business or workplace and double your income. Hiring a house cleaner may seem like a luxury, but it’s actually a smart, money-wise decision in the long run. What do you think? If you want to see for yourself what we talking about, do not wait any longer and give it a shot. To find out more about different domestic services, browse our website, and for Contacting Sam’s Cleaning And Ironing Services, go ahead and dial 07712 227517. We are looking forward to hearing from you!